In Pader, Uganda, Oyoo Benson oversees the field operations of the Northern Uganda Medical Mission (NUMEM). Launched in 2012, NUMEM has only been active for three years, but in just this short time it has seen astronomical growth in reaching its targeted populations. Annually, NUMEM consults with over 5,000 patients, a number that has skyrocketed over 550% in the last two years. When asked about NUMEM’s rapid growth, Benson points to a singular reason: quality data. NUMEM is one of the only community-based health centers in Pader to incorporate data into its operations structure. Before launching, Benson’s team conducted in-depth surveys to better understand the community and its needs, and, from the start, included the collection of patient data in its day-to-day activities. According to Benson, this has allowed NUMEM to understand where and how it is best suited to meet the needs of the community, which has consequently magnified the scope of its impact. Benson represents just one of countless development practitioners who are turning to data to advance their work. The advent of new technologies has revolutionized the world of data, allowing for major strides in the collection of data for development. At the turn of the century, data quickly rose as a focal point in development discussions, and with the recent ratification of the 17 new Global Goals in September 2015, data continues to drive conversations surrounding social change. With the launch of the Global Goals, world leaders are partnering to push for stronger data. In late September, United Nations Secretary General Ban Ki-Moon called for the creation of an independent expert advisory group on the data revolution while the United States announced commitment to and collaboration with the newly formed Global Partnership for Sustainable Development Data. While this renewed energy for data collection seems promising, there is a critical disconnect between data collection in online and offline communities. Online data tools have allowed for large strides in streamlined data collection—sample sizes, responses, analysis, and insights are all stored and available in a central location. Data collection is swiftly improving for the areas where a baseline standard of information already exists, but what about the last frontier? What about the communities in regions that remain disconnected from traditional online data collection tools? In this age of technology and data, it is crucial to remember the bridge between online and offline communities. Some of the areas that are in most dire need are the ones where no data exists. And these are the exact communities that should be targeted in the coming years as work begins toward the Global Goals. Benson of NUMEM cites offline data collection tools as one of the biggest assets for aggregating data in rural Pader. One of his biggest limitations in collecting useful data has been restricted access to Internet analytical tools, but tools like Open Data Kit, SurveyCTO, CommCare, and Formhub, among others, fill this precise need. 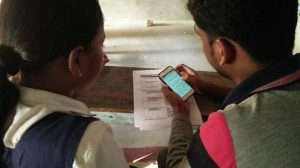 These offline programs allow development practitioners in rural areas to work at the same standard of processing as those with 5G connections, leveling the playing field. Data can show us where girls are at greatest risk of violence so we can better prevent it; where forests are being destroyed in real-time so we can protect them; and where HIV/AIDS is enduring so we can focus our efforts and finish the fight. Data can catalyze private investment; build modern and inclusive economies; and support transparent and effective investment of resources for social good. Using tools that bridge the gap between the reality in rural communities and the technology of the developed world allows for the collection of better quality data, which is key to achieving the Global Goals. The discussion of data for development purposes generally focuses on simply gathering usable information, but as our technologies evolve, it is time to move toward quality data—data that will more accurately depict the truth through representation of the often unrepresented. With the luxuries of today’s technology, there is a critical difference between data and quality data. In this new era of #2030NOW, we must push for more than numbers that fill spreadsheets; we must push for good, quality data that reflects the needs of all members of society—young and old. We need data that covers conflict-ridden areas, refugee camps, and remote, disconnected areas. We should demand data that takes cultural nuances into account and ensures that the populations in question are being adequately represented. All of these factors constitute quality data, and quality data is the key to measurable change. In the words of Benson, data may be presented in numbers, but these numbers represent real faces and lives. And to achieve the Global Goals, that is a critical fact that we cannot forget. SurveyCTO is an easy-to-use data collection platform designed for fieldwork in international development. It has been used to collect over 3 million survey submissions in over 50 countries by organizations such as the World Bank, Save the Children, Clinton Health Access Initiative, and many others. Start a free trial today. Photo: courtesy of Northern Uganda Medical Mission.